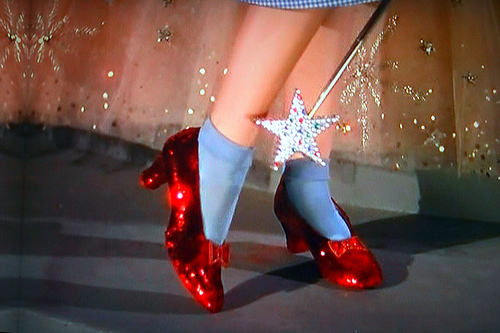 For the Girls: There's No Place Like Home!!! Erin came home from the hospital yesterday! She spent her first night at home with her sweet family since September 4th. Erin joined her parents in doing something that we probably all take for granted, but assuredly meant so much to this sweet mama. She dropped her kids off at school this morning. This is the first morning that she has been outside of the hospital since the very first day of school. I am so excited for her and am guessing there might have been a tear or two in her eyes as she waved good-bye to her cute boys. Erin did hear from Cancer Care Northwest. Her doctor wanted her to go through with her herceptin treatment today. Her port has not been put in yet, so Erin took her herceptin through an IV. I haven't heard from her, but I am hoping this went ok and was less painful than the IV she had in the hospital. Her poor veins have been working overtime. Just as a reminder, there is a link at the bottom of this page to Erin's meal calendar. She is home now, and has family helping care for her. If you would like to bring a meal, please sign up. Dairy is harder for her, so please go light on dairy ingredients. A little bit here or there is perfect. Her mom is staying with her until this whole evil adventure is over. Claire generally eats fairly healthy foods and cannot eat any dairy at all. Also, keep in mind her benefit fund. Donations can be made at any Spokane Teachers Credit Union to the "Erin Broughton Hughes Benefit Fund." Thanks for your consideration. Erin, we love you. We're all here holding you up when this seems like too much. You are totally going to kick some cancer buns. EVERYONE is so incredibly proud of you and your amazing tenacity. Keep fighting like a girl!!! Cancer should have known better than to mess with you. Love you, Lady!